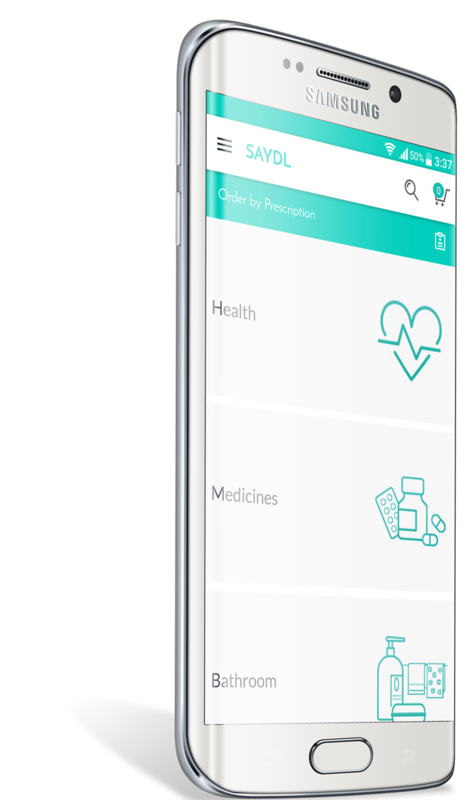 Saydl is a mobile application that gives you the convenience of purchasing all your pharmaceutical needs and delivering them to you within an hour. 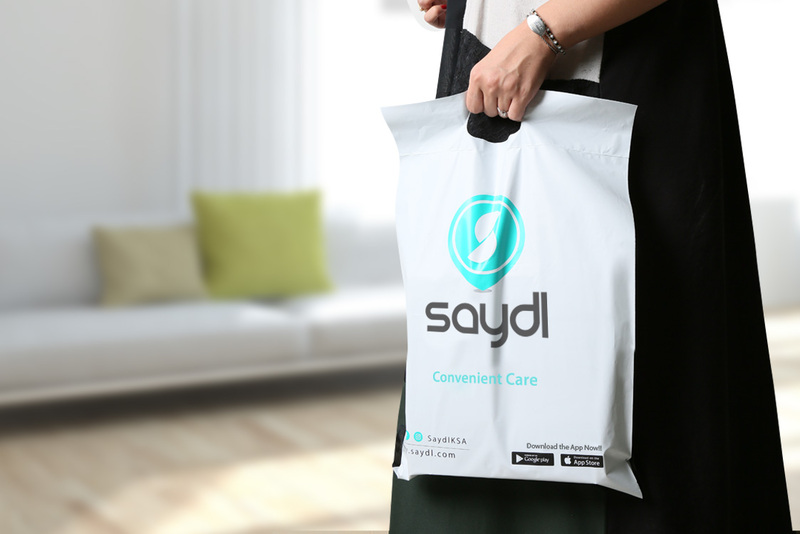 With "Saydl", users are granted the ability to purchase medicines, delivered to their very own door-step, well under an hour, from their most familiar, or favored pharmacy. Resulting to no hectic traffic to endure, pharmacy-hopping, & wasting precious time, queuing in line. 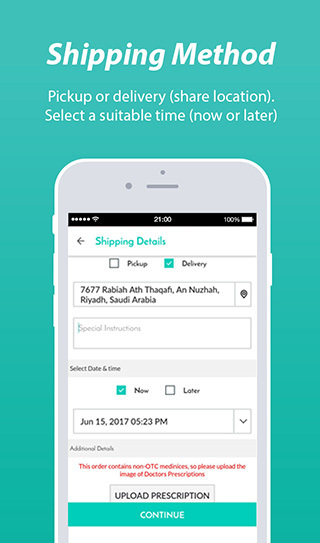 Simply log on to "Saydl", file your order, & enjoy your day, while our efficient, & caring delivery team, scramble, to reach your address in less than 60 minutes. 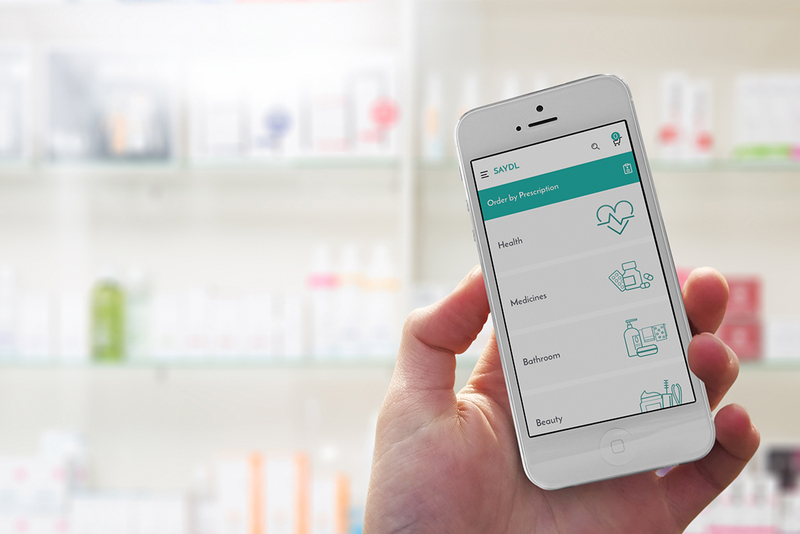 The answer simply being: Anything, & everything available at your favorite pharmacy, is available and can be purchased via our app. This ranges from everything, from medicinal, health, beauty, hair, skin-care, & shaving products, to mother & child, or oral, & bathroom supplies. The main difference, is not what you may purchase, but rather, how much more simplified it is to do so. Aslas is an innovative e-commerce company founded in 2016, and located in Riyadh, Saudi Arabia. Saydl is one of the best services we provide. 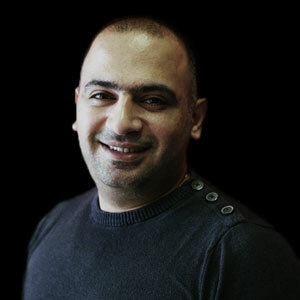 Our team is composed of hard-working, experienced and compassionate individuals. 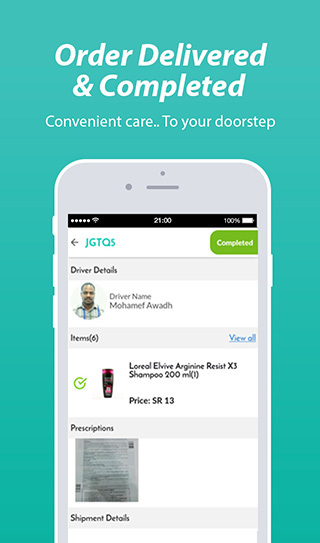 Our mission is to provide on-demand pharmacy delivery services in form of mobile apps to the Saudi Arabian market. We use technology to improve the lives of our users, and to automate their day-to-day activities with top quality solutions. Simple and Easy Steps to bring the pharmacy to your doorsteps! We’re fast on our feet and care about the well-being of our customers. All supplies from your order will be delivered within 1 hour. You pay when the items are delivered to your home. No more jumping from one to another pharmacy to get what you need. Saydl allows you to check the stock in different stores before you make the order. Stop losing a few hours from your busy schedule in traffic just to get some medical supplies. Everything you need is just a few screens taps away. 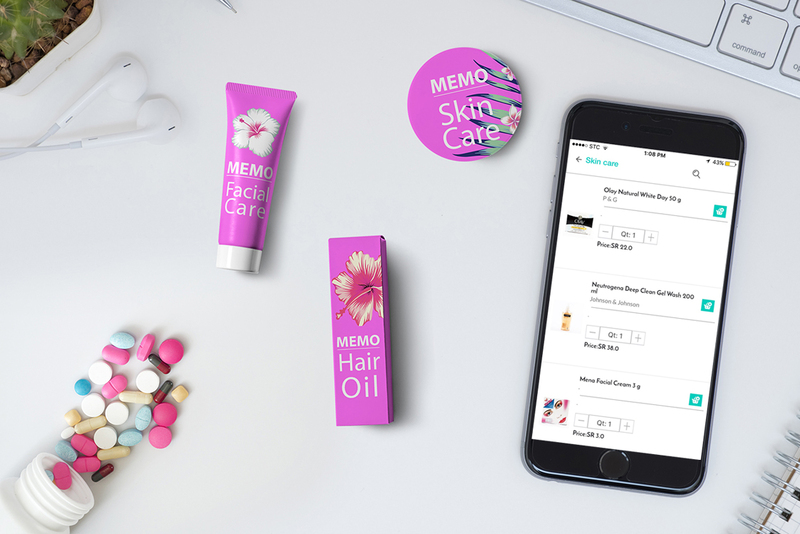 What you would buy in your favorite pharmacy, you can get it using our app. You choose the delivery time and we make sure you get on time. Browse through a massive inventory of supplies from different pharmacies, and always get the best deal. Immensely impressed by this brilliant app, not only do I find it revolutionary, & a pioneer in its own right within the medical field of Saudi Arabia, but i also find it to be highly user-friendly, & an incredible help to anyone living within the vicinity of the city of Riyadh. Last week, i happened to face an extreme high urgency, & was in desperate need of two medicinal products, with absolutely no means or hope to acquire them whatsoever..my friend shared the app, and in no time, i found what i needed delivered to my very doorstep, sealed & packaged to perfection, Saydl are my new heroes. Download Saydl Mobile Application Now! No, it is a platform that connects customers with pharmacies and provides a delivery service to your address. 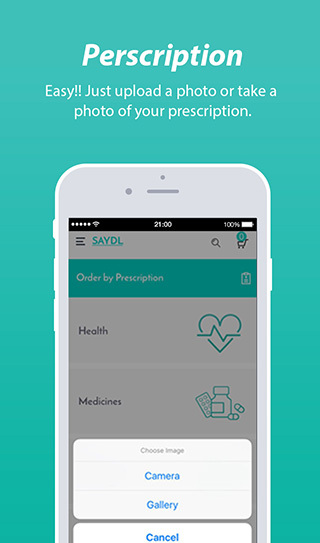 Saydl is a fully featured app that’s going to revolutionize the way people buy pharmaceutical supplies. It has everything you need to get supplies on regular basis and in a very short time. Saydl will free you from having to travel from one store to another, pay more money for products and wait in long lines. All of that, is simply gone - with our simple to use, yet innovative and powerful app. - Browse our products from the categories menu. - When you click on the category you want to browse, you will see all products related to the category with images, price and brand. To add a product to your cart all you have to do is click the products and click on the “Add to cart” button. After adding the product, you can increase or decrease the quantity by clicking on the “Plus” and “Minus” icons. - After adding all the products that you need, you can click on the cart menu at the top right of the page. You will see all the products in your cart, click on proceed to checkout. - On checkout, choose the shipping method, location, date and time of delivery, add your prescription if needed and the payment method. Make sure to review your products before you place your order. - The order will be passed to one of our trusted pharmacies. - An order confirmation will be sent back to to you from the pharmacy, which will include all the items that are available with prices. - Check the availability of items and accept the order, or reject and cancel the order. - Once you accept the order, and in case of delivery method, a delivery guy will be assigned to pick up the order and deliver it to your location. - If you choose to pick up the order by your self, then the order will be ready for you in the pharmacy. You can check the status of your order by accessing “My Orders” in your settings. You will see current and previous orders and its status. I just submitted my order and I would like to do some modifications on it, is it possible? You can cancel the order before we assign a driver to pick it up. After that the order can’t be canceled. Every single order is handled by a group of trained delivery guys that are fast on their cars. 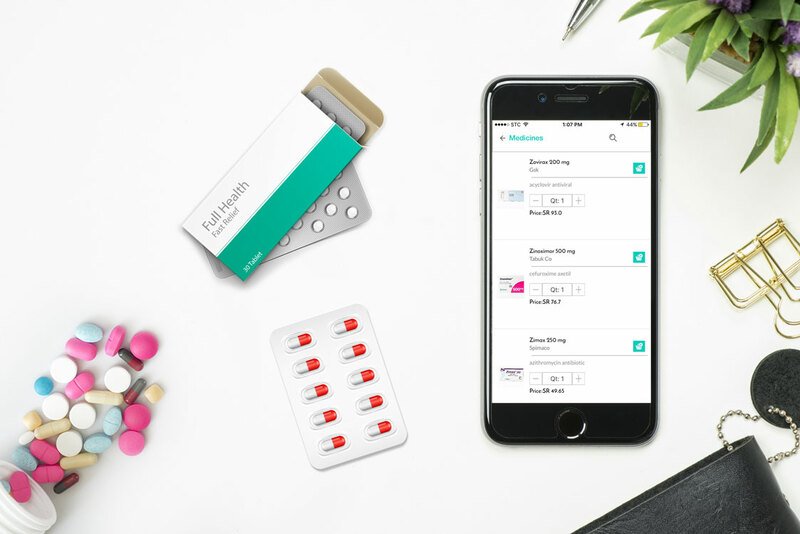 Once you confirm the order, it is going to be passed onto a delivery person, who will go to the selected pharmacy, pick up the goods, and deliver them to your home address within 1 hour. Which delivery services I can request? - 1 hour Day Delivery, allows users to make an order and have the goods delivered to your doorstep within 1 hour. 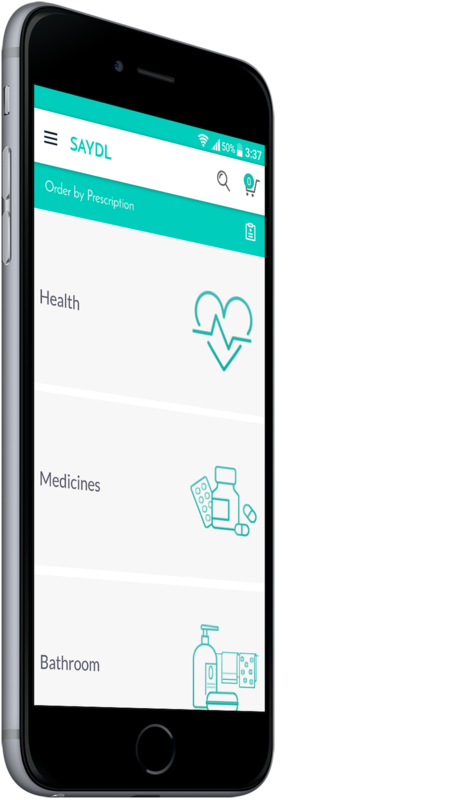 - Scheduled delivery, allows users to get pharmaceutical supplies in a specified date and time. This is a real time saver if you’re dependent on some supplies, and you’re consuming them on a regular basis. 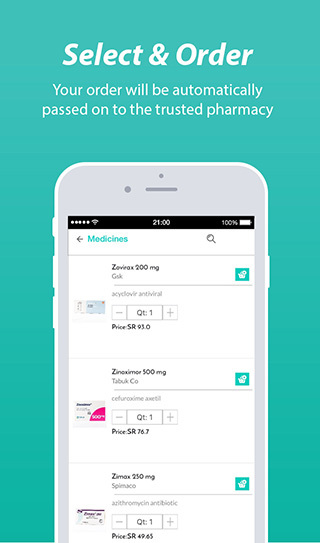 - Pharmacy Pick Up, allows users to pickup the order from the selected pharmacy. What if my medication requires special handling? Each delivery person is equipped with special care sets and tools that will keep your medicine safe. We assure you that your medication will be kept in controlled containers and handled very carefully during delivery. We currently serve specific locations in Riyadh city, and working to cover all Riyadh and other cities within Saudi Arabia. Can I change my delivery address or time after checkout? At the mean time this option is not available. If you would like to change your delivery address or time kindly call us enough time before your delivery. Customers can cancel their order at any point in time prior to order confirmation. However, the order can’t be cancelled, if the delivery guy is assigned and on the way to the pharmacy to pick up your supplies. We accept returns if the medicine/goods delivered to you does not match your order, or if the medicine/goods are past their expiry date. Please check your orders when they are delivered to you, and report a return request before you pay to the delivery person. At this point, we do not accept insurances. 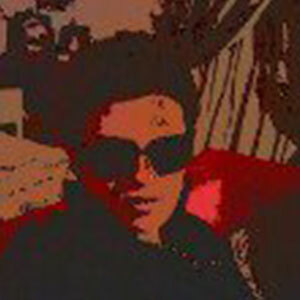 But, our team is working very hard to utilize this feature, and it should be available in the near future. 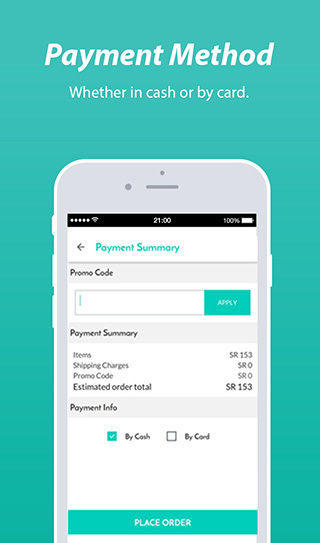 You can pay in 2 ways: upon delivery, or with a credit card on the app. Whatever you choose, it is a pretty straightforward process that won’t take more than 1 minute. You will pay same product prices as it is billed by the pharmacy, plus a delivery cost. Is it safe to use your online payment? Yes. Payments are processed through Payfort platform (the leading company in the region). Payfort is certified to the latest PCI DSS standards. Your data will be protected from any misuse or harm under their secure network. Which pharmacies are part of your network? We are constantly working to expand our network of pharmacies and delivery guys in Saudi Arabia. You can see which pharmacies are currently available when you login into our app. We assure you, that our network will increasingly grow as time passes by. How can I check item availability and prices? 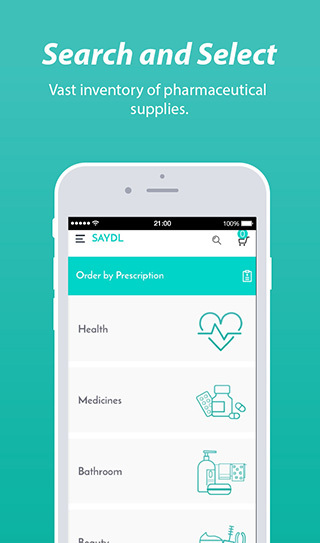 Once you create an order in Saydl, we will check in with the nearest pharmacy to your home, and ask for availability status and price of the requested goods. Once the pharmacy responds, you will get a notification about the availability of your supplies and their prices. If satisfied, you can proceed forward and confirm or cancel the order. Everything is done within the app.